Samuel L. Mellin, age 94, of Seaford, DE passed away on Tuesday, April 2, 2019. Sam retired from the federal government, where he was an inspector for the USDA. 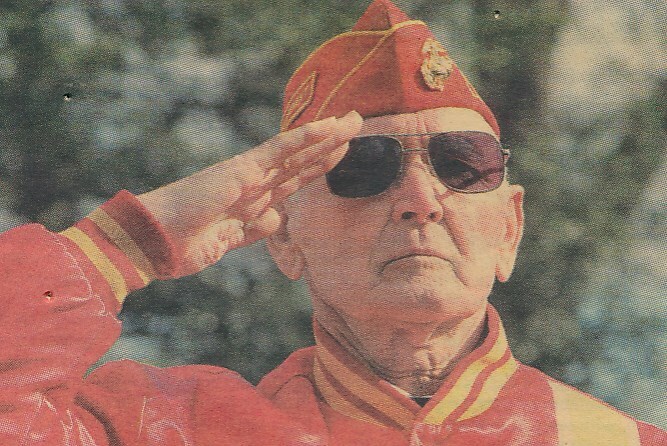 He was a marine veteran of WW II, a member of the Marine Corp League Devil Dog Detachment, Hiram Lodge #21 A F & A M. He was also an avid deer hunter, fisherman and windsurfer. His wife, Gloria Mellin died in 2016. He is survived by 3 sons, Wayne Mellin, Glen Mellin (Lenny) and Clyde Mellin, and 2 grandchildren, Shane & Zachary Mellin. Funeral Services will be on Monday, April 8th at 2 PM at the Cranston Funeral Home, 300 N. Shipley St, Seaford, preceded by Masonic Services. Friends may call at the funeral home from 1 to 2 PM. Burial will be in Odd Fellows Cemetery.